CBD fights inflammation, there is no doubt about it. In fact, studies are proving that CBD oil, which is extracted from cannabis is superior to many common drugs such as aspirin when it comes to fighting inflammation. This is a big deal because we know that inflammation is the root cause of most diseases and many of us would prefer to not take synthetic medicine. 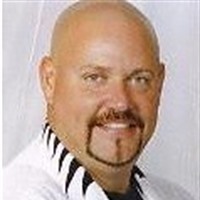 In addition to the medical research, there are more and more personal success testimonies by people who are using CBD oil to fight inflammation. But is CBD alone, enough to do the trick or does it take all of the cannabinoids working together? According to one study published out of the Lautenberg Center of General Tumor Immunology in Jerusalem the answer is quite clear. This study evaluated the effectiveness of CBD when it was isolated compared to when it was combined with the plants more than 80 cannabinoids. What did the CBD study prove? The study was conducted on mice and concluded that the whole plant extract in which all of the cannabinoids work synergistically was much more effective in relieving pain and inflammation. This is called the Entourage Effect. Interestingly, the CBD by itself proved in most tests to be ineffective regardless of the dose. In contrast, the effectiveness of the full spectrum CBD continued to increase as the higher doses were given. The tests showed the greatest effectiveness was when the oil was taken orally. It also noted that the medicinal effects and dosages will be unique to each patient. Test Shows Full Spectrum CBD Oil Decreases Inflammation. This particular test studied what’s called TNFa, which stands for tumor necrosis factor alpha. When TNFa is present in the body it leads to swelling from fluid in body tissue. So, researchers tested tissue reaction when full spectrum CBD oil was administered and they found it continued to suppress TNFa production to extremely low levels as the dosage was increased. How did full spectrum CBD oil compare to other anti-inflammatory drugs? This test compared CBD with both aspirin and tramadol. Aspirin had a moderate effect on tissue swelling, while tramadol had little effect. The full spectrum CBD prevented swelling of the mice paw to a greater extent than either commercial drug. Both of the commercial drugs did more for direct pain sensation, but it was CBD that produced a decrease in TNFa or again the inflammation, which as we know is normally the source of pain. Therefore, the study concluded that cannabis has medical properties not found in common anti-inflammatory drugs. In conclusion, studies like this continue to prove that cannabis is a relevant source when treating pain and inflammation, when the full spectrum of cannabinoids are present. My favorite place to buy all kinds of cool CBD stuff for my family like Gummies, CBD Drops, Vapes, Hair Care, Beauty Care and even CBD stuff for our dog Jake, delivered to any place in the U.S and Canada along with some international destinations is a place called MyChoiceCBD powered by CTFO. These guys use Certified Colorado Organic Hemp, and a super clean CO2 extraction method. I really like these guys, because I know their Hemp is the best in class, and that means I don't have to worry about any solvents, butane, pesticides, molds, microbes or any other nasty stuff in my CBD. 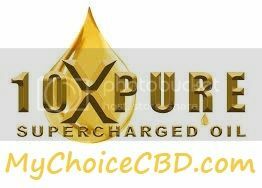 10xPure CBD oils is an IV infusion-like absorption using an exclusive and patented technology, which is taken sublingually or under your tongue. It’s proved to be more absorbable than the pharmaceutical grade CBD oils, and yes even more powerful than nano liposomal technology. Look No Further, You Have Found the Best!